There's goings on down at the Vic. When does a football ground become a stadium? Got to find a way to fit ALL the glory hunterz. Any official source or just speculation the building works? Just replacing the steps which they fear may collapse under the weight of expectation. When does a stadium become a colloseum? When does a colloseum become an extension of the Town Hall? Just drove past the Vic, looks like they've added an extra tier to the Rookery? When do we become an extension of Luton? All the other fans seem to sing about it. Last game of the season as I took my seat in the SEJ stand at the customary time of almost straight after the turnstiles opened, Giampaolo Pozzo was showing some men in suits around the SEJ and seemed to be talking about the seats.. I don't speak Italian but he did gesture towards the seats whilst someone scribbled down some notes. When does a town hall become a covered swimming pool? I hope we dont build another Lego stand! 280 quid? Have you seen the price of Lego at all lately? I thought the flats were an "integral" part of the Rookery building work - I didn't know they were "tacked-on" afterwards. I wonder if he tells the truth when someone asks him what he does for a living. 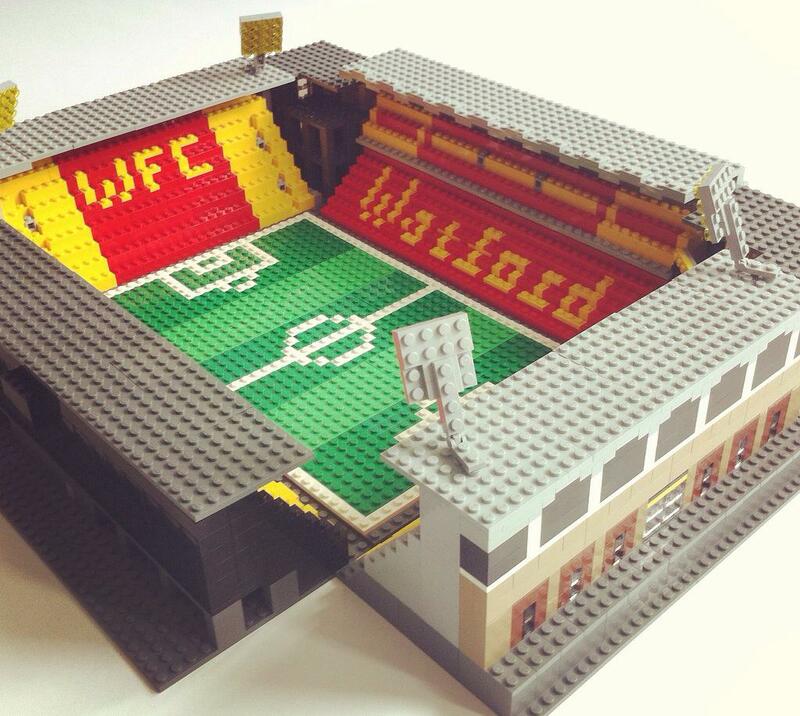 I cant imagine "I build lego models of football stadiums" goes down too well on a date. Have I just been whooshed or are you younger than Squibba? I just assumed they built the stadium within the flats? The walk through the allotments used to be one of the highlights for away fans. No. I was "well" away from the area from 1988-2004. The photo was (dated) from 2000. I note that Loftus Road is priced at £299.99 which reflects the higher property/land costs in West London. Is there a Kennel for 25p? I think thats actually more than they spent on the real thing!